A bit ago I mentioned something about custom colored caulking to match a, any, paint color. My local Sherwin Williams outlet used to do this for their commercial accounts but no longer does for anyone. 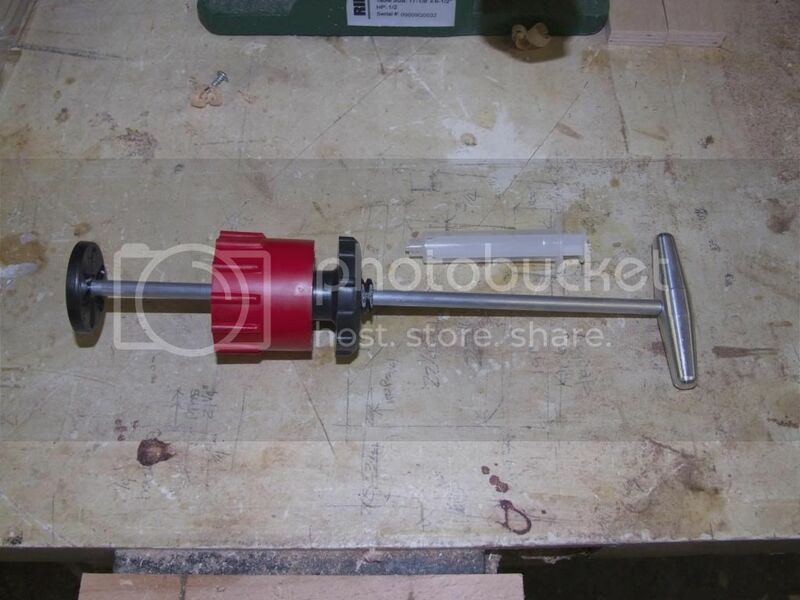 The package contains a vaned mixing disk on an aluminum plunger shaft, a red cap that fits over the back end of the caulking tube, an expandable plug just inside that red cap that expands on the inside walls of the tube when you tighten that black knurled knob on top of the red thingie. 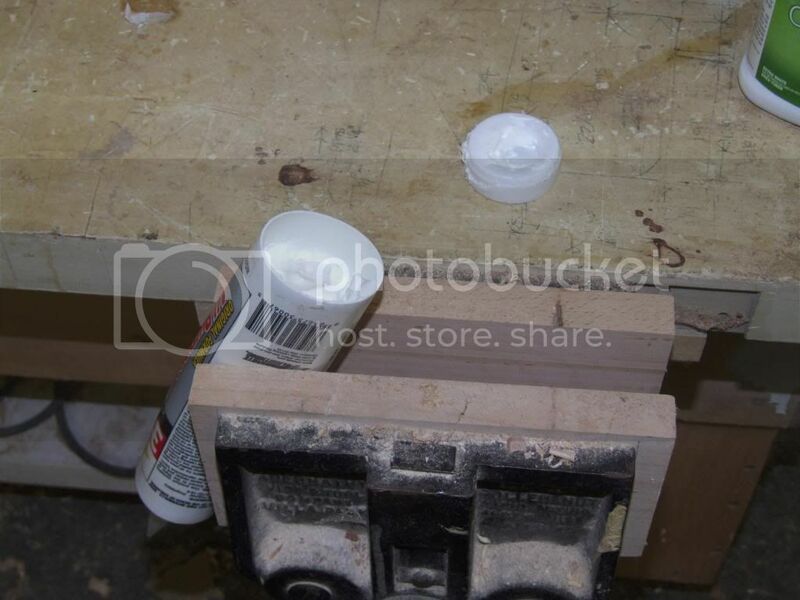 Also included is a small plastic syringe used to measure out a dose of your paint into the back end of the caulking tube. 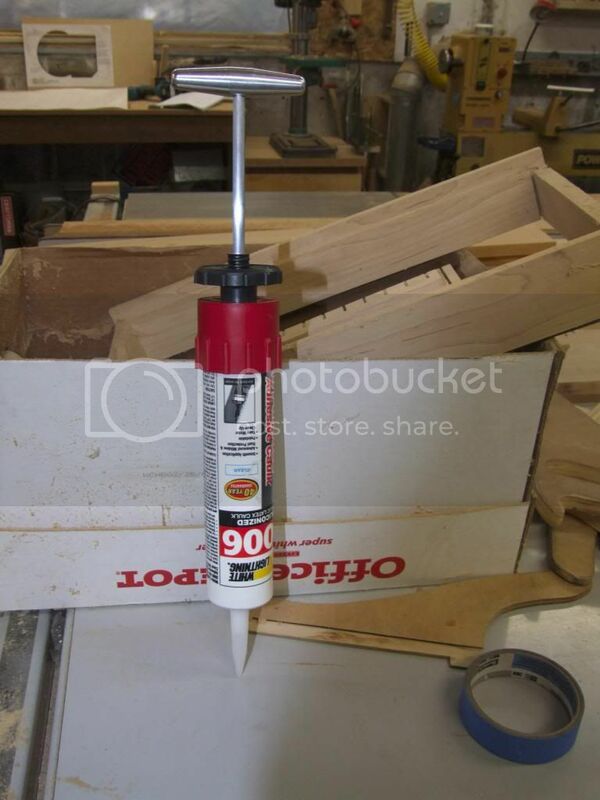 I wasn't aware of it but if you squeeze the caulking tube hard enough the cap on the back end will actually come out. I found it a lot easier to just mount the thing in my vice to squash it into submission. Once out, you shoot yer paint into the tube, stick the mixer in, tighten the expanding seal doo-dad and pump the handle up and down several times. I had anticipated half the material oozing out and making one he....h.. horrible mess but it all stayed where it was supposed to. The only drawback I found was that there's an oh-so small amount at the very tip of the tube and that little bit that might be in the nozzle that doesn't get mixed. So you kinda hafta waste a partial squeeze to get to the good stuff. And since I know you're eager to know, yes, cleanup is something you want to address outside and not on the patio. 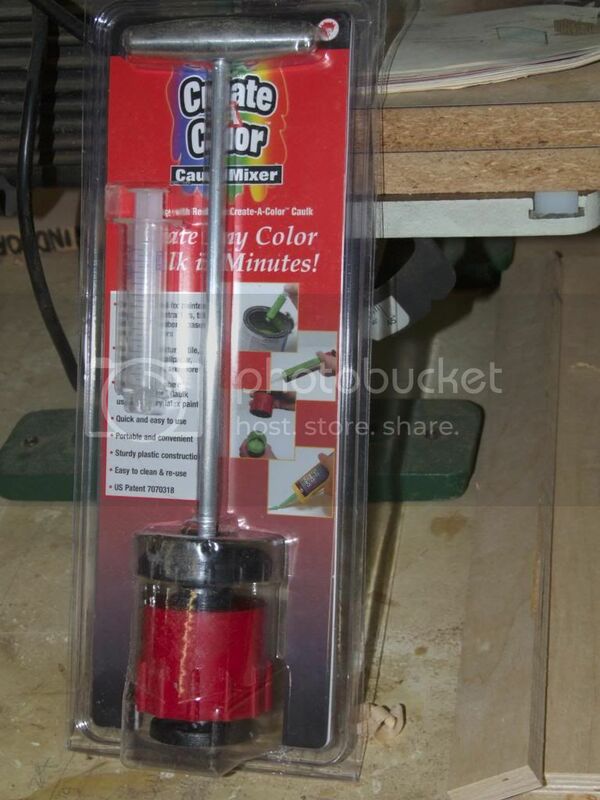 Anyway, I thought this was a rather unique tool in case anyone has need for custom colored to match your walls caulking.